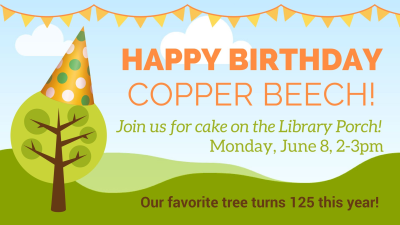 Home → Events, News → Happy Birthday, Copper Beech! The Library’s iconic copper beech tree, planted around 1890, turns 125 this year! We invite PSU student to join us for a birthday cake on the Library Porch to celebrate.